Ready To Get More People To Buy From You? With This Simple Blueprint For Using Bonuses To Get More Buyers! I don’t know you, but I’m guessing betting you’ve pulled out all the marketing hacks you know to grow your business. Maybe you’ve studied persuasion or hired professional copywriters. Perhaps in a shameless moment you even nearly resorted to begging. This doesn’t need to be that complicated. If you really want people to join your list, buy your products, and / or promote you, there is a very simple way to make it happen: you make it well worth the time, effort, or money spent to do so. That’s it. Game over. You win. One thing that is fully in your control and super easy to get done is to create high-value, in-demand bonuses. Now you may be saying, “But I already use bonuses in my business.” I know you do. Most smart marketers do. But very few people know how to make the most of their bonus strategy. Most marketers are leaving a lot of money on the table. And that’s why I’ve created a course which teaches you everything you need to know to optimize your bonus strategy to get more of what you want in your business! Introducing Bonuses That Convert: Your Go-To Blueprint For Getting Others To Take Action Now! 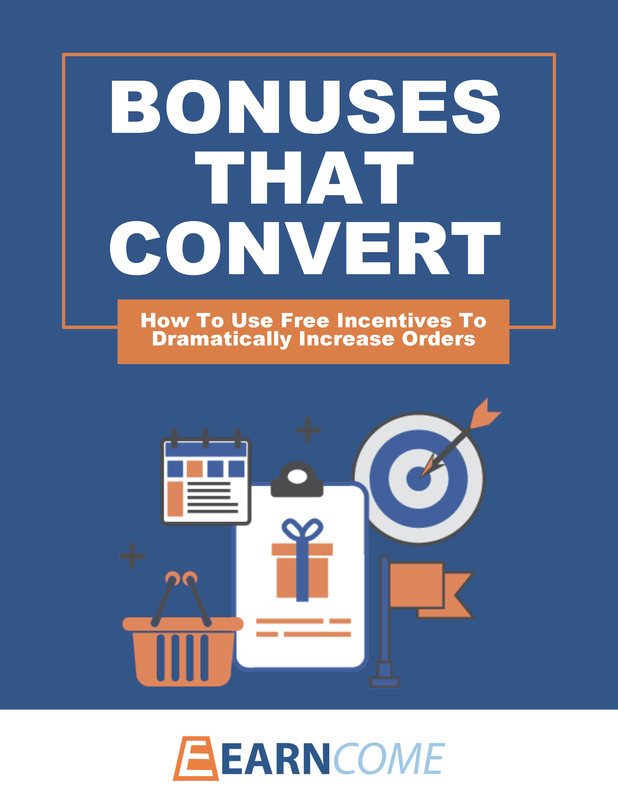 Bonuses That Convert is a no-fluff, quick-read curriculum that walks you through ten lessons for using free incentives to build your list, get more orders, activate affiliate partners and automatically grow your business in a dozen different ways. Get dozens of examples of the critical parts so you can understand how to put them to work in your own business to see real results. Complete actual “assignments” to immediately make progress as you create and deploy each type of bonus. Hint: Different bonuses accomplish different objectives and work together to create an order-producing system! As you work your way through the Bonuses That Convert curriculum, you will learn the different types of bonuses to enhance your main offer, how to get fence-setters to buy, the secret to creating effective bonuses in just 30 minutes, and exactly where to promote your bonus so it does what it is designed to do (get more orders). 1. Offering Too Many Bonuses. Somewhere in a marketing land far, far away a strategy known as “thump value” originated. The idea is to pack so much stuff into your product package that it seems like a tremendous value. The bigger the thump, the better the value. But it’s a different world today. People suffer from information overload and the last thing you want to do is give them 500 pages of bonuses. That doesn’t make them want to try to achieve a desired result by using your product. It makes them want to give up. 2. Offering Poor Quality Bonuses. In some ways this is related to the first problem. Because so many people want to make it seem like the customer is getting a lot of stuff for the purchase price, they toss in a lot of stuff without a whole lot of regard to what that stuff actually is. Here’s the bigger problem: nobody thinks their bonuses are poor quality. Do you? Let me give you a simple rule of thumb … if people wouldn’t happily pay money for it (and be satisfied with the purchase), then it’s not a high-quality bonus. 3. Offering The Wrong Bonuses. What’s the purpose of your bonus? Seriously, stop for just a moment and ask yourself, “Why would I offer this specific bonus in this specific setting?” Many people give away bonuses that are completely unrelated to the main offer. “Oh, you’re thinking of buying my First Year Of Homeschooling course? If you buy it today, I’ll include my First Year Of Ministry course!” So maybe your issue isn’t that extreme. But the point is extremely valid. Bonuses that don’t directly enhance the main offer aren’t a good option. Bonuses that convert are designed to add real value by making people feel like your main offer is doable. * People look for solutions that will help them achieve the specific outcome. * People consider your paid product as a potential solution worth investing in. * People think it is “worth it” to spend money on your product if it delivers the outcome. * People buy if your product and bonuses work together to make them feel like the outcome is doable. 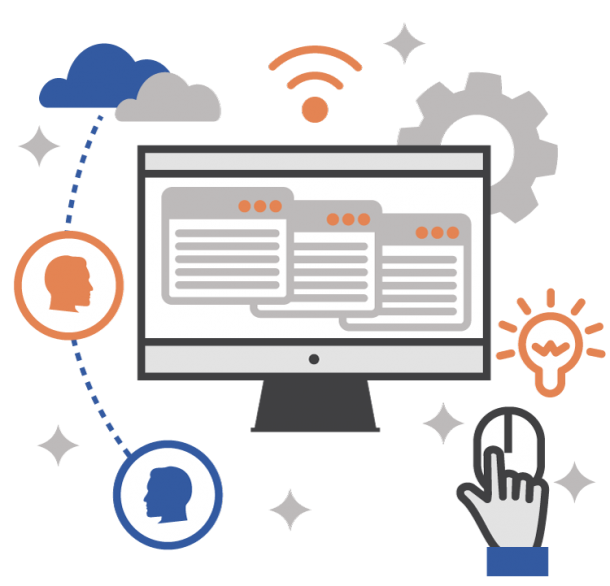 the tools to take action and implement what they learned in your main product (so they get results quicker, easier and better). 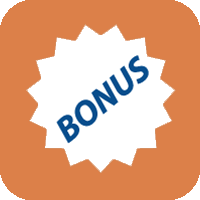 What’s Included In Bonuses That Convert? A strategic bonus is almost magical in what it can do for your business. Not only can a good bonus increase your sales, it can also reduce refunds and retain customers. Plus a whole lot of other profit-generating things. And this lesson reveals to you 10 surefire ways to use bonuses to grow your business! Inside this lesson you’ll discover the five characteristics of an extremely effective, irresistible bonus. Most marketers know two or three of these characteristics – but your bonus isn’t going to be effective unless it includes all five! What are these five characteristics? You’ll find out when you download this course today! You probably know about some of the more common types of bonuses you can create, like ebooks or videos. But do you know about all 18 of the most powerful types of bonuses? Find out which ones you’re overlooking inside this exciting lesson! Plus: Put each type of bonus to work in your business to generate even bigger results when you make them work together. In this lesson you’re going to discover how to create the one bonus that many prospects simply can’t resist. Do you know what it is? Find out inside this lesson. Maybe you’ve created this sort of bonus before, but it didn’t deliver the results you were looking for. Chances are, that’s because your bonus offer didn’t include the “3 D’s” – these are the three crucial keys that turn a ho-hum bonus into an irresistible, effective offer! Heads up: if you’re offering a bonus that’s highly similar to what everyone else is offering, then your bonus strategy is going to flop. What you need to do is create something truly unique. And the best way to do that is by creating something highly personal. 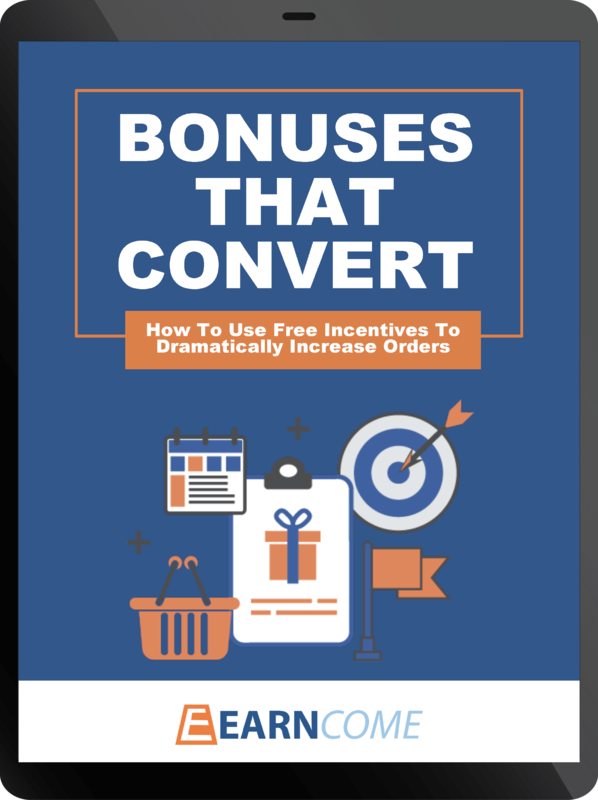 That’s why inside this lesson you’ll discover 6 ways to create unique, personal bonuses that work like magic to boost your conversion rates! When you create these particular types of bonuses in the way revealed inside people will WANT to buy from you to get their hands on them! Want to create bonuses the quick and easy way? This lesson shows you four surefire ways to do it. Whether you have a big budget or small, a lot of time or none at all, one of these methods is sure to fit your needs perfectly. Some of the best bonuses I’ve ever created have been developed in less than half an hour using each of these four methods. There simply is no reason not to create and use any kind of bonus you want when you see how quickly you can go from “zero to done”. And you’ll find out how to do just that inside this lesson! Now here’s a bonus strategy that very few people use, and almost no one knows about. The idea is to use bonuses to crush your prospect’s objections and get them scrambling for your order button. And this lesson teaches you everything you need to know about how to make the most of this top-secret strategy so you can enjoy a huge bump to your conversion rates! 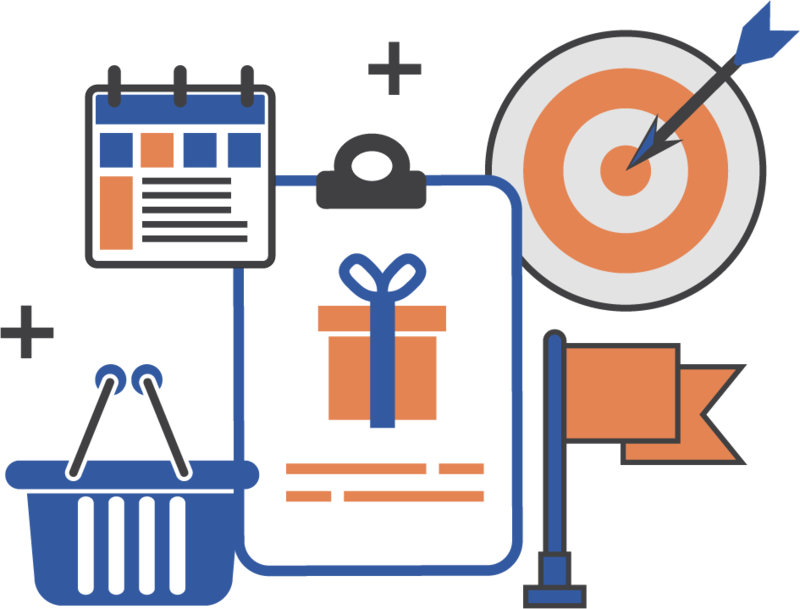 What if you could create bonuses that take away your potential customers’ reasons why they don’t buy? Wow, think of how many extra sales you could generate if more people automatically said “yes” to your product instead of “no”! Most marketers just toss a bonus into their product packages and never give it a second thought. If you want to make the most of your bonus strategy, then you’ll want to check out the seven hacks revealed in this lesson that will teach you how to optimize your bonus strategy! Hint: If you just follow the first hack included in this lesson, you can automatically get more orders. Best of all, it’ll take you five minutes to “set it and forget it”. Learn about it and 6 other things smart marketers do to work smarter, not harder with bonuses. So, you have a bonus that you want to offer to your audience. If the only place you advertise this bonus is hidden inside a long sales letter, it’s not going to be very effective. In order to get people excited about your bonus you need to widely advertise it. Quick … off the top of your head, how many places can you name to give away your bonus? Download this lesson and learn all 15 powerfully effective ways to promote your bonus! Hint: The more places your bonus is promoted, the more people will see it, want it, and order to get it. By the time you get to this lesson, you’ll understand all of the B.O.N.U.S. strategy pieces. This final lesson will organize everything into a quick 5-step system for optimizing your bonus strategy. Your next step is to take action, and this checklist makes it quick and easy to put this bonus system to work in your business! Order Today And Get Five … Wait For It … Bonuses! You didn’t honestly expect to scroll to the bottom of a sales page for a course on creating bonuses and not find bonuses awaiting, did you? LOL. There’s a reason that they are included below as expected. Actually, there are two reasons. First, the bonuses are included below because they are intended to be the final push toward convincing you to buy. You get to be the judge of how effective they aid in enhancing the main course and making it “worth it” to buy Bonuses That Convert. You Get These 5 Bonuses For Free When You Order Today! You’ve got a great blueprint in hand now for optimizing your bonus strategy. To make it even easier to implement this strategy, you’ll want to walk through the steps of this worksheet. This is a perfect companion for the main curriculum and a great way to get your bonus strategy up and running fast! In fact, when you print this out, fill-in-the-blanks to complete the assignments, and actually get things done, I’m guessing you’ll find this one bonus is worth 10X what you paid for the whole course. Once your bonus is complete, then it’s time to do this very important step: title it. Your title is so important that it can make or break the success of your bonus. While I want you to go ahead and order below, I’m so confident I know what I’m talking about here that I invited you to pause for just a moment and read the titles of each of the ten lessons and the five bonuses. Don’t they make YOU want to buy the course to access them? I know what I’m talking about when it comes to creating appealing titles. That’s why you’ll want to put these 50 titling templates to work for you! Swipe File: 101 Bonus Examples To Get Your Creative Juices Flowing. Here’s one thing you don’t need to worry about: running out of ideas for bonuses. That’s because you’re about to get 101 ideas across 20 popular markets, including: Online Marketing, Weight Loss, Travel, Organic Gardening, Love and Marriage, Home Security, Running/Marathons, Classic Car Restoration, Dog Training, Home Remodeling, Couponing, Foreign Language, Job/Career, Raising Children/Family, Computers, Antiques/Collectibles, Meditation, Anti-Aging, Mental Health, Self-Improvement. Plus, we’ll cover all 18 of the types of bonuses that you learned about in the course. You’ll never run out of great ideas once you start using this swipe file! Bonus Backend: 4 Ways To Double Your Profit After Delivering Your Bonus. To make the most of your bonus strategy, you should seek to create bonuses with built-in backend profits. Inside this document you’ll find out what the four perfect bonuses are for automatically turning on backend profit and how to make each of these four bonuses as effective and profitable as possible! The best bonuses have two purposes for you: to get more frontend orders (for your primary offer) and to get more backend orders (for your secondary offers). This bonus shows you four great bonuses that have added profit “built-in” to the type of bonus you’ll be creating. You can’t just plop a bonus in front of your prospects and expect them to snap it up. In order to make your bonus strategy as effective as possible, you need to craft a strong call to action (CTA), which is where you tell your prospects what you want them to do next. 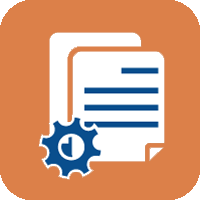 Fortunately, creating a CTA is easy when you use one of the 10 copy-and-paste templates included in this document! 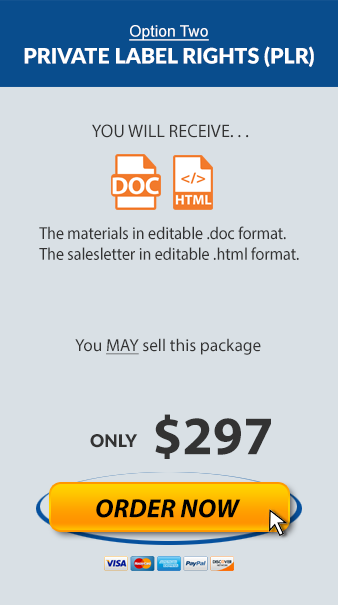 Simply pick out the one that fits the type of bonus being offered and copy / paste it into your sales materials. Done! As you can see we’ve packed a lot of profitable information into this quick read course! You can also see that the bonuses really do add value and help you achieve the outcome you’re after. And you can certainly see the value of a course that teaches you how to start generating more sales, customers and cash. So now you’re wondering. How much is it? Generate More Profit From Every Single Offer You Create! to grow your lists, grow your traffic, grow your orders, and grow your spendable cash. If that doesn’t make the low-cost of Bonuses That Convert “worth it” to you, then simply walk away. Seriously. Don’t buy. Your $47 not spent isn’t going to make that much of a difference to me. But not buying Bonuses That Convert could make a big difference to you. You just need to decide for yourself if you already know everything you need to know about creating and using bonuses. Only you know if you’ve been using bonuses in all the different ways they can be used (and using them well) to maximize your orders. That’s what you’ll learn how to do with this course. And you can get started today by purchasing the Bonuses That Convert training – do it now, because the sooner you get started, the sooner you’ll start to see results. Everyone I know is interested in getting more website traffic. And, to be sure, that’s something to be desired. All things bein equal, the more traffic you get the more orders you get. But, what if you could get more orders from the same traffic? That would be great too, right? Think about it like this: If your conversion rate is 2%, that means 2 out of 100 people who visit your sales page buy the offer. That also means that 98 out of 100 people do not buy. Yikes.